MIG Welding Machine, proper safety protection, and one piece of mild steel plate approximately 12 in. (305 mm) long x 1/4 in. (6 mm) thick, you will change current setting and observe the effect on MIG Welding. On a scale of 0 to 10, set the wire feed speed control dial at 5, or halfway between the low and high setting of the unit. The voltage is also set at a point halfway between the low and high settings. The shielding gas can be CO2, argon, or a mixture. The gas flow should be adjusted to a rate of 35 chf 916 L/min). Hold the welding gun at a comfortable angle, lower your welding hood, and pull the trigger. As the wire feeds and contacts the pate, the weld will begin. Move the gun slowly along the plate. Note the following welding conditions as the weld progresses: voltage, amperage, weld direction, metal transfer, spatter, molten weld pool size, and penetration. Reduce the voltage somewhat and make another weld, keeping all other weld variables (travel speed, sickout, direction, amperage) the same. Observe the weld and upon stopping record the results. Repeat this procedure until the voltage has been lowered to the minimum value indicated on the machine. Near the lower end the wire may stick, jump, or simply no longer weld. Return the voltage indicator to the original starting position and make a short test weld. Stop and compare the results to those first observed. Then slightly increase the voltage setting and make another weld. Repeat the procedure of observing and recording the results as the voltage is increased in steps until the maximum machine capability is obtained. Near the maximum setting the spatter may become excessive if CO2 shielding gas is used. Care must be taken to prevent the wire from fusing to the current tube. Return the voltage indicator again to the original starting position and make a short test weld. Compare the results observed with those previously obtained. Lower the wire feed speed setting slightly and uses the same procedure as before. First lower and then raise the voltage through a complete range and record your observations. After a complete set of test results is obtained from this amperage setting, again lower the wire feed speed for a new series of tests. Repeat this procedure until the amperage is at the minimum setting shown o the machine. At low-amperage and high-voltage setting, the wire may tend to pop violently as a result of uncontrolled arc. Experienced welders will follow a much shorter version of this type of procedure any time they are starting to work on a new machine or testing for a new job. This experiment can be repeated using different types of wire, wire sizes, shielding gas, and weld directions. Turnoff the welding machine and shielding gas and clean up your work area when you are finished welding. Welding joins two metal pieces by the use of heat and with or without pressure apply. Contact of welding gases and fumes may have Short time impact and Long time impact. Irritate the eyes, nose, chest and respiratory tract. Cause coughing, wheezing, shortness of breath, bronchitis, pulmonary edema, and pneumonitis . Cause nausea, loss of appetite, vomiting, cramps, and slow digestion.
? Welders may chance a variety of chronic lung problems, including: Bronchitis, asthma, pneumonia, emphysema, pneumoconiosis, decreased lung capacity, silicosis, and siderosis. May also increased metal stress & blood pressure, and further cause to heart problems, exhaustion, nervousness, and bad temper. 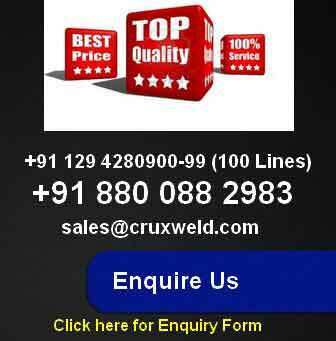 We are well recognized to manufacturing welding machines, especially manufacturer and exporter of Arc Welding Machines. Our range starts from 150 Ampere to 650 Ampere in different designs equipped with latest technology. Our products are efficient in all welding positions like flat position, horizontal position, vertical position and overhead position. Model CW-ARC150,CW-ARC200,CW-ARC250,CW-ARC320 are portable type arc welding machines, these arc welding machines are easy to carry, light weight and specially designed for movable job purposes. Basic advantage of portablewelding machine is use in two phase as well as in single phase connection. So it can be in small scale industries, home base industries, where three phase connection is rarely available. 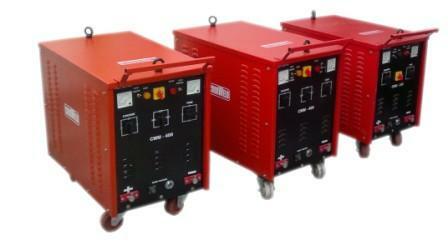 We recommend our arc welding machine for offshore sites and onshore sites both.